I specialize in writing about international affairs, and in 2009 founded Big World Magazine, to encourage multimedia storytelling about places. As an editor at Global Finance magazine and a Latin America reporter for the Associated Press and other publications, I spent a decade covering seminal events in the developing world, from the Mexican debt crisis and the North American Free Trade Agreement to Russia's emergence from the old USSR and Turkey's stymied efforts to join the European Union. My stories have appeared in The Huffington Post, Institutional Investor, Islands, Worldpress, Anthropology Now and Working Woman magazines, and in the San Francisco Chronicle, Newsday and the Miami Herald. A journalism professor at Rutgers University's School of Communication and Information, I'm passionate about helping the next generation of journalists reshape the field. 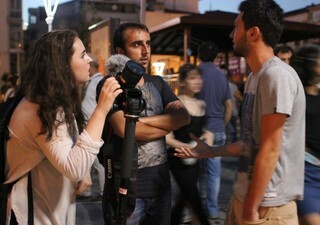 I also direct The Istanbul Project, a summer foreign reporting program in Istanbul, Turkey, for the Institute for Education in International Media. The age of small screens, video and interactivity, beyond offering journalists new ways to connect with audiences, offers journalists more ways to connect readers with human experiences. How can we can bring our subjects' faces and voices closer to audiences, and deliver more powerful and memorable media experiences? During a recent project, reporting on the lives of Syrian and African migrants in Italy, Germany and Turkey, I experimented with first-person and joint bylining techniques, to try to paint more intimate portraits of migrants' lives. The first part of the project, in which migrants in Sicily and Turkey tell their own stories, appeared in the Huffington Post. The student, Raghad Alahallak, and I, tell her story under a joint byline, for the magazine Anthropology Now. Even speaking with a foreigner, during most of the Stalinist 20th century, was punishable by death. But the bravest Albanians turned pots and pans into broadcast receivers, and hid them under the eaves of their houses. Western TV beamed in news of Ferraris, discos and blondes -- and also of the fall of the Wall. That brought rebellion, then exodus. Researching my master's thesis on the mass exodus of Albanians from their country after the collapse of the Soviet Union, I established that it takes about four years for migrants to get the message that a particular place no longer welcomes them. Anti-government demonstrations erupted in Turkey just as our student-faculty team was departing for The Istanbul Project, a one-month journalism laboratory that takes university students to Istanbul, where they practice working as foreign correspondents. Students wrote stories, shot video, and got live lessons in covering conflict: they discovered that lemon-soaked bandanas could protect them against tear gas -- but that press passes could sometimes make them targets. This is the digital magazine they produced. Students practice working as foreign correspondents, and produce a digital magazine, or book. Get more info about the 2015 program here. 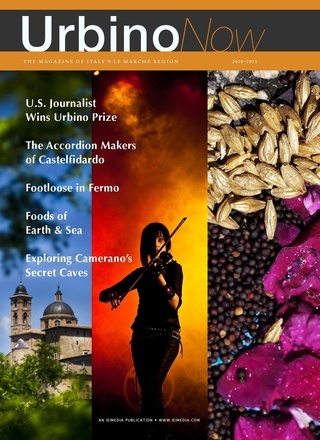 In the summer of 2010, I led 11 university students in developing an English-language travel and culture magazine for Italy's Le Marche region, under the auspices of the Institute for Education in International Media. (Never has an assignment come with so much prosecco). Click on the PDF above to see our work. "It looks fabulous! Can't wait to receive my copy. I'd love to come back again next year!" "It looks AWESOME! I'm really proud to show it off! "I am so proud of the final result." Mexico's mid-90s currency meltdown cut an excruciating swath across Latin America. Furious Argentines still call it the tequilla crisis. I covered the story, in New York and Mexico. I enjoyed soaking up British culture, as I studied for a master's degree in economic history at the London School of Economics. But I missed Mediterranean life. © 1990-2019 Mary D'Ambrosio. All rights reserved. A Black Sea family had boldly extended its living quarters into an ethnic Greek cemetery. I wasn't sure what upset me more: the desecration, or the historical wrong. I planned a sybaritic summer in a Turkish village by the sea. I didn't consider that I might have trouble fitting in. A story that Venezuelans tell on their Colombian neighbors is coming true at home.